Sunflower shot: juicy, slightly sweet-bodied with beef character! Wonderfully juicy and tasty in the excursion cookie or buttered to the salmon. There are varieties of sunflower shot with nutty character, sweet and less sweet and relatively tasteless! 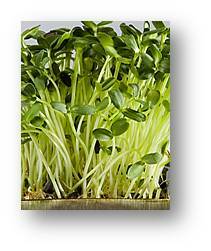 Or have you encountered sunflower shoots like tasted straw? Sorry for you! All of these characters are genetic in the seed, even if your cultivation technique affects. If you are a cultivator, there is a great variety of varieties, provenance and seed technology today. Everything affects the quality of the customer and your cultivation. Do you want the best and avoid unnecessary problems: contact us at Agortus and we will give you a further insight.